On May 16 the University of Wisconsin - Madison launched The Alliance for the American Dream, which is a collaboration between the community and the university to produce ideas to increase the net income of 10,000 Dane County families by 10 percent by the year 2020. Although the median income in the county is about $65,000 with only 3 percent unemployment, there are racial and geographic disparities. United Way of Dane County said the black household median income is below $30,000 and the minority unemployment rate is over 20 percent. Schmidt Futures is funding the project, which is called the DreamUp Wisconsin Initiative. It is led by the Institute for Research on Poverty at UW-Madison. IRP is the nation’s longest-standing center for poverty research, and currently serves as the national Poverty Research Center, funded by the U.S. Department of Health and Human Services. The school is one of four universities chosen to participate in the program in its inaugural run. The other three are Arizona State University, Ohio State University and the University of Utah. The DreamUp Initiative is looking for a minimum of 10 proposals from the community by this fall on ways to raise the median family household income by 10 percent in Dane County. The initiative is looking for proposals on topics, such as how to reduce the costs of public transportation, how to increase financial literacy and budgeting skills, how to increase access to education and training, and how to lower cost of living to keep more money in the pockets of residents. 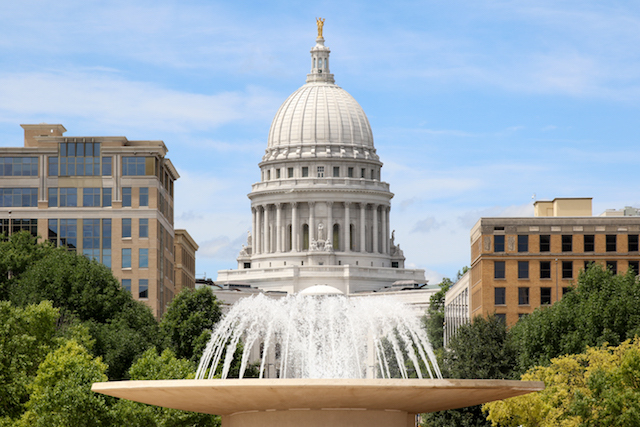 All of the proposals must focus on collaborating with UW campuses and have to include increasing average income while decreasing costs of living. Schmidt Futures want “big, innovative ideas”— and do not want to limit ideas with very specific criteria or budgetary constraints. The proposals should also be self-sustainable and able to support themselves without continued funding from Schmidt Futures or continuously seeking funding from other non-committed sources. The deadline for first round of proposals is August 29. There are a few criteria for the proposals. They have to increase income directly or reduce the cost of living. Increase wages or reduce housing costs or childcare costs. It also has to have a community and university partnership, meaning it needs to have a university faculty member as part of the team or part of the proposal. The proposals should also be helping a diverse group of people across the community, not be geographically limited and be evidence-based. The Mellowhood Foundation’s Summer Initiative is a paid summer program in the southwest Madison Meadowood neighborhood that teaches a large age-range of children about independence and real-world responsibilities. The initiative draws on the knowledge students already have from school, while also teaching them skills such as independence and self-determination.